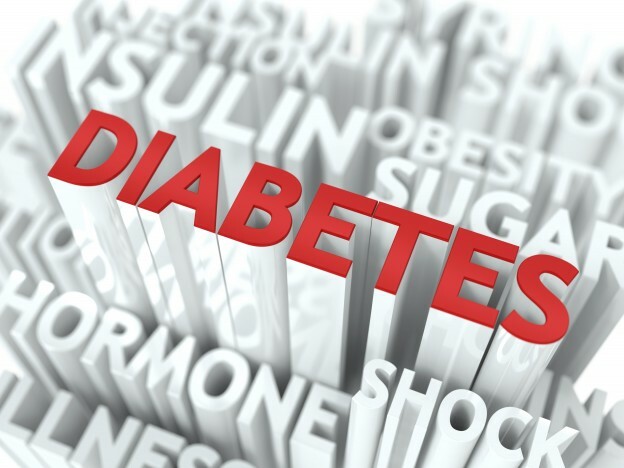 Diabetes is a group of diseases marked by high levels of blood glucose (blood sugar) as a result of either the body’s inability to produce insulin or the body’s inability to respond to insulin. Insulin is a hormone that moves blood glucose throughout the body and converts sugars and food into energy. Diabetes can cause serious health complications but if controlled through exercise, diet and managed body weight, people with diabetes can reduce symptoms. Type 1 Diabetes occurs when one’s body does not produce insulin and is usually diagnosed in children and young adults. This type is far less common and makes up approximately 5-10% of all diabetes cases. Individuals living with Type 2 Diabetes are able to produce insulin but either their bodies do not properly respond or they are not able to produce the necessary amount. Those who are overweight, inactive or consume an unhealthy diet are at greater risk of developing this type. As people age, they are at higher risk of Type 2 Diabetes, so much that 90-95% of all cases are made up of an older population. Healthy Diet. Healthy lifestyle choices lowers one’s risk of developing Diabetes or experiencing Diabetes related complications. Simple healthy eating plans may contain nutrients, low-fat or moderate in calorie items, and simply monitoring one’s carbohydrate intake. Exercise. While exercise routines vary from person to person, staying active keeps bodies healthy and lower the risk of health problems. Whether taking daily 30 minute walks or running a marathon, creating a fitness program that fits your needs and lifestyle will have a positive effect. Talk to the Professionals. With the help of your healthcare team, determine a healthy lifestyle regimen and adhere to your program. Regularly monitor and track vital signs and discuss inconsistencies or abnormal changes with your doctors to determine if modifications need to be made to your routine. Home healthcare services are available for patients living with or recently diagnosed with Diabetes. Visiting Nurse Association of Ohio offers chronic disease management and TeleHealth monitoring that allows patients to track their vital signs and directly reports changes to their healthcare team. Find out today if you or someone you know who is living with Diabetes and may benefit from VNA of Ohio home healthcare services.